Bernell King Ingram is a professional coach, corporate trainer, certified Japanese and English language coach, author, speaker, and president of Visions International. Visions International equips global executives, entrepreneurs, professionals, expatriates, non-profit organizations, educators and students to relate and communicate cross-culturally, live contentedly and work successfully with other cultures. Bernell has coached and trained fellow coaches, managers and global executives of USA, Japan, Korea, Kuwait, Mexico, Germany, France, Austria, Spain, Brazil, Colombia, Venezuela, Ecuador, Argentina and other countries. Bernell has coached over 1,480 entrepreneurs to start and grow companies and gain access to more than $1 million in financing. Bernell has authored $1.4 million in federal loans and grants to provide entrepreneurs access to new financing opportunities in South Carolina. 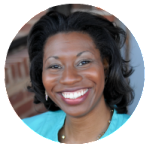 Bernell has lead Visions International to be a leader in business, language and intercultural coaching. The Visions International T.E.A.M. maintains 100% overall client satisfaction, 98% of our students complete their language program, 98% pass official language testing (TOEIC, TOEFL, EIKEN), a 5-star English Immersion Program for youth, managers and executives, a 5-star satisfaction of Business, Executive, Intercultural Coaching and Training, 4.9 stars for our language coaches, 4.9 stars for our Executive Staff. As a bilingual child raised in Japan, Linda often felt the frustration of not being able to express herself fully in either language. Once her language skills became more prominent in English, she knew she wanted to help bridge the gap between Japanese students and their desire to communicate in English. 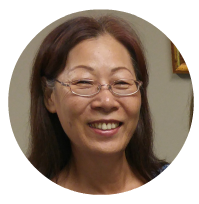 Linda began tutoring English as a Second Language in Japan while in high school. At California State University Northridge, Linda obtained a B.A. degree in Theatre Arts, then went on to earn a Master in Education in TESOL at Temple University. Linda has taught ESL at colleges and language schools in Japan and the United States. Linda speaks English, Japanese and enjoys music, singing, acting, theatre, films, hiking, and traveling. Yasako Higa Parks was born in Okinawa, Japan and has lived in the United States since 2007. Yasako’s career experience spans administration, accounting, and real estate. In Japan, Yasako dedicated her time and skills to teaching Japanese language, culture and calligraphy to students of military families, at local churches, and volunteering with an international women’s club. Yasako has been teaching Japanese for over 5 years and is currently also a teacher of Japanese to first language speakers at Greenville Japanese Saturday School (GSS) and whole-heartedly enjoys teaching students. Yasako speaks English and Japanese and enjoys making Japanese bread, serving her community and singing and playing the Okinawan sanshin (stringed instrument and precursor of the Japanese shamisen) with her musical group. Carmen Cummings is a professional English teacher of over 19 years, pronunciation and vocal trainer and former home school educator. She holds a B.A. Secondary Education in English and B.A. English. Carmen has extensive experience teaching English and pronunciation skills to Japanese engineers. She spent several weeks in Japan training and examining methods to expand English usage successfully in Japanese students. Carmen has worked with multicultural international student groups and traveled to Japan and Canada for English training programs. 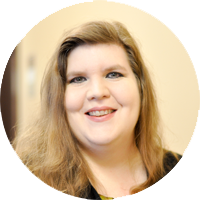 Carmen enjoys theater and Broadway Shows, reading, traveling, writing, and antiques.